There’s a difference between a kid-friendly destination and a family-friendly one. That’s what makes the St. Pete/Clearwater area so great—it’s a place that the whole family will get excited about. Who doesn’t love a day (or week) at the beach? From Fort De Soto Park, complete with playgrounds and beach camp sites; to the full-service resorts and lifeguarded beaches of Clearwater Beach; to the escape-from-it-all, untouched shores of Honeymoon and Caladesi islands. St. Pete Beach and Treasure Island offer beachfront restaurants, along with sandy fun, that allow for a full day at the beach. The family can even do a pirate cruise out of St. Pete or Clearwater with the Pirate Ship at John’s Pass and Captain Memo’s Pirate Cruise. Off the sand, visit the Clearwater Marine Aquarium—a non-profit organization and aquarium in Clearwater, Florida dedicated to the rescue and rehabilitation of sea animals. In addition to enjoying eye-opening aquarium activities, it’s home to Winter the dolphin, star of Dolphin Tale and Dolphin Tale 2. Have breakfast with Dalí at The Dalí Museum: docents take you and the kids on a tour of the museum to give an intro to the surreal artist’s work, followed by a Spanish-themed breakfast buffet. 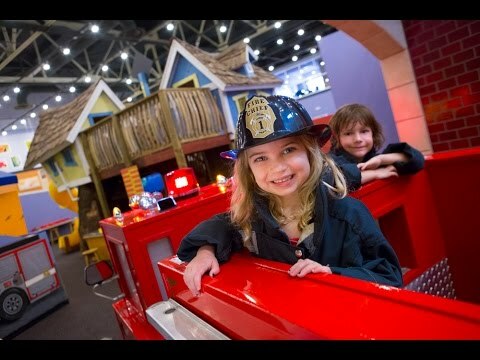 Great Explorations Children’s Museum in St. Petersburg offers an educational outing—and opportunity for hands-on fun. (See if you can find a deal at one of these or other top attractions here.) Take in a show at one of the many theaters around the area. Active families will love the Pinellas Trail, a paved trail perfect for biking or skating (there are places along the trail to rent bikes so no need to pack those). Get ready to make some memories!